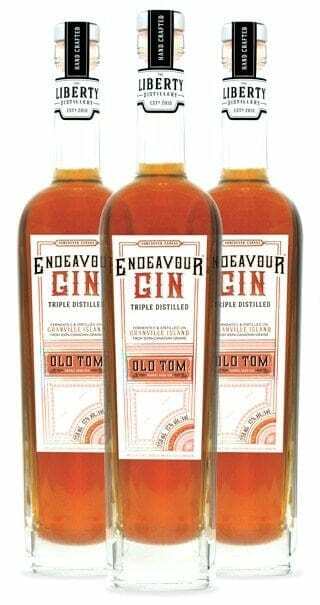 Endeavour Old Tom Gin begins with our 100% organic BC triple-distilled wheat spirit. (10) traditional botanicals are slowly infused during re-distillation in our single copper pot still. 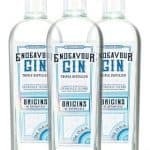 The gin is then further macerated with a blend of (5) additional local and traditional botanicals before resting in 220-litre French Oak barrels for several months, to slowly gain character, complexity and colour. On the nose there is a subtle nuance of juniper with rich wood tones. On the palate the flavours of berries and spice are fully integrated to create a well-rounded spirit. Endeavour Old Tom is a taste of history based on records dating back to the 1850’s. 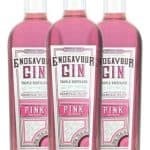 It is a full-flavoured, full-bodied, mahogany-coloured gin with a rich, intense nose. On the palate there is a pronounced spicy fruitcake character with notes of juniper, mint, orange blossom and mulberry, all intertwined with the oak to produce a mouth filling assortment of enticing flavours. The finish is long, powerful, spicy and compelling. Liberty’s Old Tom will delight adventurous gin enthusiasts; Old Tom is the gin for Whiskey Lovers.